Small business is an essential component of the United States economy. So important that small businesses account for nearly 2 million new jobs in a given year, and a significant percentage come from very small businesses, defined as organizations with less than 50 employees. Even with great strides small business owner need to be aware of how to increase profit margin in business. Most small business owners fail to evaluate their current spending. 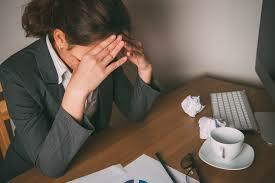 Studies have shown that most small business only ponder on analyzing spending once business shows distress. Business owners rush to cut prices, reduce staffing, and eliminate spending as profits dwindle to such a point that the likelihood of continued operations languishes. One business owner discussed how he learned a bit late that analyzing a business as a form of habit is a best tactic and certainly a way to remain wary of How to Increase Profit Margin in Business. Jim owns a local shoe store and sells imported men’s dress shoes. In business for over six years, Jim felt things were going very well, and overall, he had no need to analyze his business operations. In 2016 Jim seen his business profits drop slowly, but steadily. Soon Jim found himself at a table with his accountant brainstorming where and how to make cuts. Location, Jim downsized on location, saved 47% and ended up profiting 39% . Staffing, no one likes to see cut in workforce however, stay realistic of need over affordability. Certainly, needing more employees signals a growth in business. If you have enough employees but are adding responsibilities look at shifting positions, or even taking the time to create a new position with only a portion of cost rather than taking on a full-time or even part-time employee. Unfortunately, business owners hire first and think about alternative options only after the hiring resulted in loss. Purchasing Equipment explore cost all the way to the foundation. Competition is fierce, especially with rampant online purchasing. Consider the cost of having items shipped to your business and hiring independent task contractors. Sure, there is a bit of controversy however, with the competition heighten, even unions are cognizant of the need to compete. If your company needs expansion, take bids, don’t overspend by jumping rather than thinking with less of a budget as how to increase profit margin in business. Business owners should also look at spending any areas of advertising, promo marketing, perks, banking and processing electronic payments. Advertising is an area that business can be extremely creative while maximizing savings. Processing electronic payments? 90% of companies are spending too much and have ignored the CDSPS to eliminate 88% of their processing cost. Start today, and if this means acting like a business that must make cuts, go ahead it’s one of your best ways on how to increase profit margin in business.